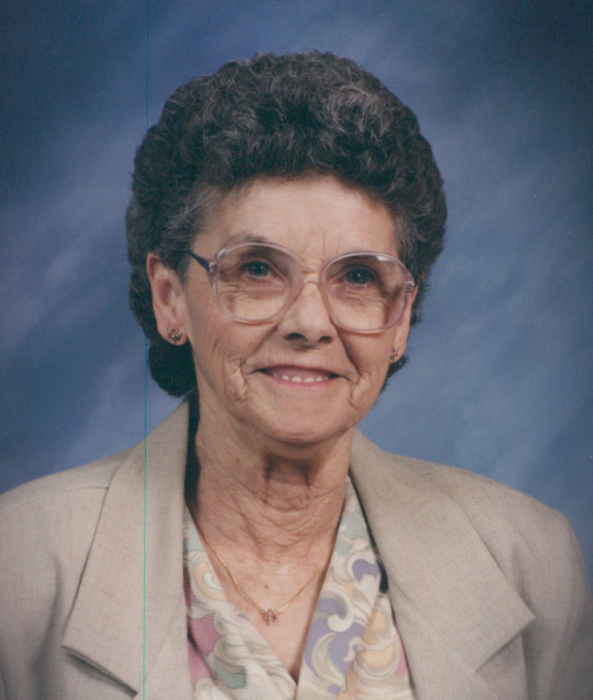 Funeral services for Helen V. Horstmann, 90, formerly of Bennett, will be held Saturday, March 30, 10:30AM at Peace Church of Christ, Bennett. A visitation will take place on Friday, March 29, 4-7PM at Fry Funeral Home, Tipton, Iowa. Burial will be at Inland Cemetery, Bennett followed by a luncheon. Helen passed away on Saturday, March 16, 2019. Online condolences may be shared at www.fryfuneralhome.com. A memorial fund has been established in her memory with proceeds donated to the Bennett American Legion Auxiliary. Helen was born on November 13, 1928, in Centerville, Iowa, to Robert F. and Letha Viola Rupe. She had one brother, Robert J. that passed away in 1989. She was a graduate of Davenport High School, Davenport, Iowa. On January 19, 1947, she married Kenneth R. Horstmann at the Little Brown Church in Nashua, Iowa, and they resided in Big Rock, Iowa. She and her husband moved to Bennett in 1954 when they took over his brother Elmer’s grocery store. They served the community in the store until they sold it in 1967. While still living in the Bennett area they purchased a home at 403 Maple St in 1970. In 1973 they purchased the old Methodist Church and remodeled it into a grocery store where they served the community until they sold the store and retired in the mid 90’s. In 2008 they moved to Minnesota to be closer to family that could also help them in their later years. Her husband passed away in 2010. Helen served in the Legion Auxiliary and in various other ways within the community for many years. She didn’t have many hobbies as her family was her life since she just loved being with her family. Making time for tea parties with grandchildren was a special time as all of them loved the mini cupcakes she would make for the party. Helen is survived by her three sons and their families: Ken and Sara Horstmann, Wichita, KS; Terry Horstmann, Zimmerman, MN; Tim and Lynn Horstmann, Brooklyn Center, MN. Sister-in-law Betty Rupe, Davenport, IA. She has many grandchildren and great grandchildren.